BLTM is an exclusive two-day travel mart focussed on Business, MICE and Leisure Travel. Preschedule business meetings and connect with your preferred travel brands before the show commences using our hi-tech and user-friendly Online Meeting Diary. BLTM provides destination sellers and travel service providers the ultimate business platform to meet hundreds of corporate MNC buyers plus many qualified meeting planners and incentive travel planners hosted from other major Indian cities. Meet face-to-face at BLTM and build long-term business relations. Hosted Buyers marked the business meetings they had in BLTM 2019 as satisfactory. of the exhibitors are likely to participate again at BLTM 2020.
of the exhibitors felt that BLTM 2019 delivered the right target audience for their business. of the hosted buyers previously attended MICE events like IMEX, IT&CMA and IITT. BLTM opens doors to India's 6.5 million outbound luxury and MICE tourists, as well as the fastest growing business travel market in the world. 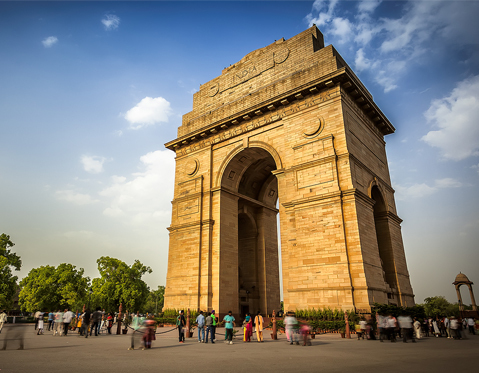 Delhi is a major business hub of India, with decent buyer potential of Business, MICE and Leisure Travel spending. In addition to hundreds of buyers from the Delhi National Capital Region (NCR), BLTM will provide you guaranteed visits from hundreds of Hosted Buyers from all major cities in India. BLTM, unlike other shows in this category so far, is not a table top show, but a full format booth and pavilion based show, at even better pricing and inclusion. Come be a part of India’s leading trade show on Business, MICE and Leisure Travel — BLTM, and ignite your business potential.